Santa arrives at the farm on Saturday November, 24*! How about a photo with Santa and our rescue horses for your holiday card this year? Join us as we welcome the holiday season at the farm with Santa’s arrival! 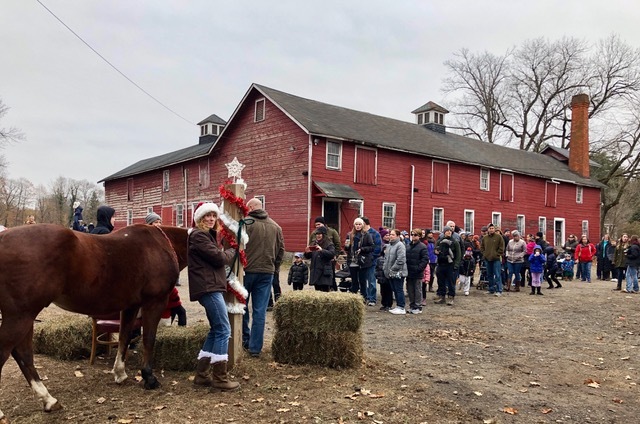 Spend the afternoon at the farm with Santa, start your holiday shopping at Hoof Prints, our chic equestrian-themed gift store, and pick up your decorated holiday wreath. Visit our beautiful rescue horses and get into the holiday spirit! Thursday Night Shopping at Hoof Prints!